Everyone these days seems to have one word on the tip of their tongues: Watergate. In the 1970s, the U.S. stock market endured one of the longest and most brutal bear markets in its history. After the Dow nearly topped 1,000 — topping out at 990 — for the first time in 1966, it would not regain this level on a closing basis until 1982. It would never trade below that level again. 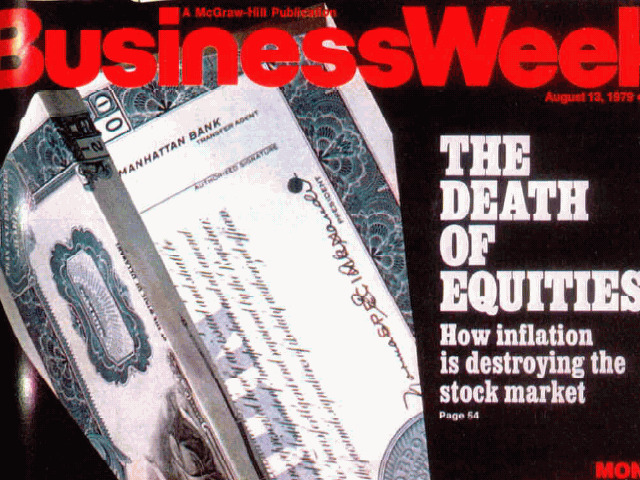 In 1979, BusinessWeek famously published its cover declaring the “Death of Equities.” Inflation was running in double-digits while unemployment rose as “stagflation” riddled the economy. Inflation ... was running in the double-digits. Consumer prices rose 3.6% from the prior year in January 1973. One year later, inflation was running at 9.6% year-on-year; by November 1974, inflation was up 12% year-on-year. Unemployment, meanwhile rose throughout 1974, eventually hitting 9% by May 1975. Comment: We were kind of in the market then but not strongly and we bailed out completely. We had a brokerage account and had perhaps 100 shares of the Southern Company. I also had bought several hundred shares of a solar company called Alpha Solarco. It failed. We worked for IBM then and bought shares of IBM through a stock purchase plan. In the Fall of 1976 we sold all and used the proceeds as a down payment on a house in Pittsburgh.